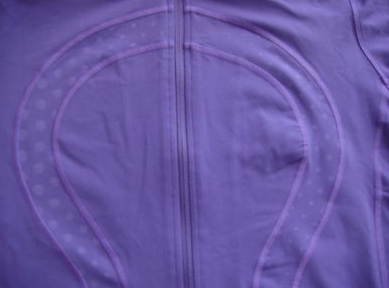 I found this ebay listing today with some detailed shots of the Bruised Berry In Stride Jacket and how the embossed dots look within the logo. 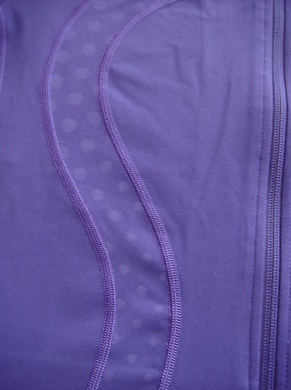 I like that the logo, stitching and zipper are subtle and all the same Bruised Berry color. 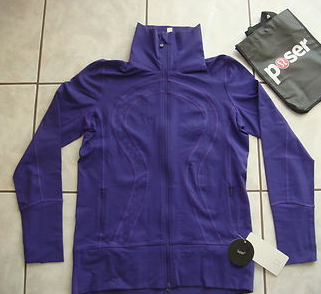 "Real Life Picture: Bruised Berry In Stride Jacket"
"Lululemon Yoga Barbie Ad Campaign"